At Belmar Endodontics, Dr. McKee utilizes Carestream’s latest 3D technology, the CS8100 3D. A 3D Cone Beam CT scan allows for improved diagnoses, treatment planning and prognosis. With this technology we can visualize any tooth from multiple angles with extreme accuracy. Featuring one of the highest 3D image resolutions available, the CS8100 3D offers an unprecedented level of anatomical insight into specific dental regions of interest. Teeth are three-dimensional objects, and the CS8100 3D system provides a very accurate view of them. Cone Beam CT scans are only taken when necessary, and when needed provide a multitude of benefits. At. Belmar Endodontics, all treatment rooms are equipped with a high powered endodontic operating microscope and a digital camera used to capture intrapulpal images. 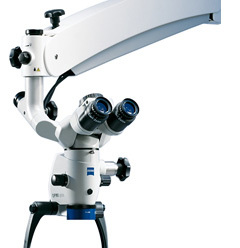 The Zeiss endodontic operating microscope is used to enhance the treatment and improve the outcome of your root canal procedure. These microscopes allow Dr. McKee to visualize the very fine details inside your tooth. It makes sense that "you can't treat, what you can't see". The magnification and illumination provided by Dr. McKee's microscope is necessary to visualize the minutest details inside your tooth, such as complex root canal anatomy, extra or calcified canals, fracture lines, etc. 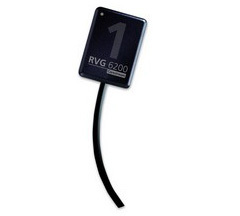 This dramatically helps improves the diagnosis, treatment, and outcome of your root canal. All procedures are accomplished with the aid of the operating microscope. 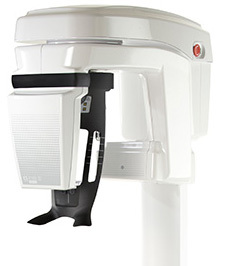 We use a high resolution digital dental imaging system which significantly minimizes radiation and improves diagnostic capabilities. This also allows our patients to follow their treatment as it progresses on the conveniently located computer monitor. Belmar Endodontics is essentially a paperless office. Our practice software, The Digital Office (TDO), is uniquely specialized for endodontics. It allows our referring dentists to follow each step of their patients treatment here at Belmar Endodontics for a seamless line of communication. This safe, secure, HIPPA compliant software allows our patients to register and update their information for our office at their convenience, a time saving advantage for our patients.